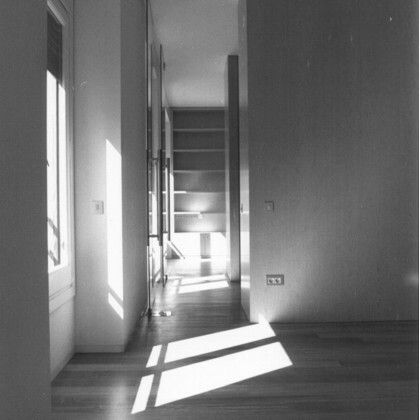 Redistribution of the spaces in the dwelling to meet new needs. 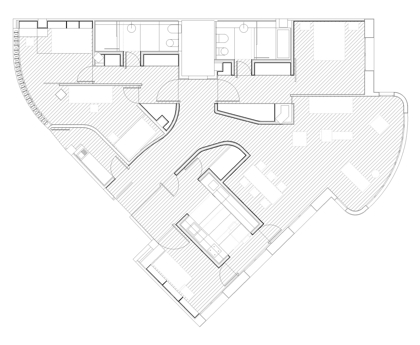 Two basic areas of work: Day area along the line of the façade where the living/dining room, kitchen, utilities, multipurpose room and a lavatory will be placed. Night area starting at the party wall where the bedrooms, bathrooms and a small laundry area are grouped together. 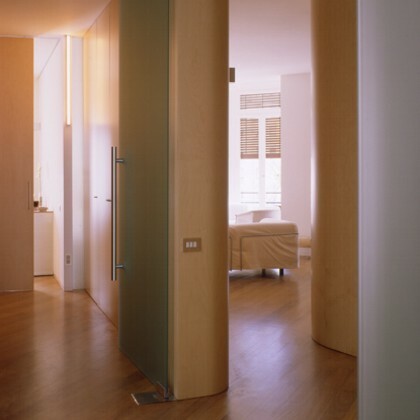 An intermediate space between these areas connects the two and acts as a buffer between them. 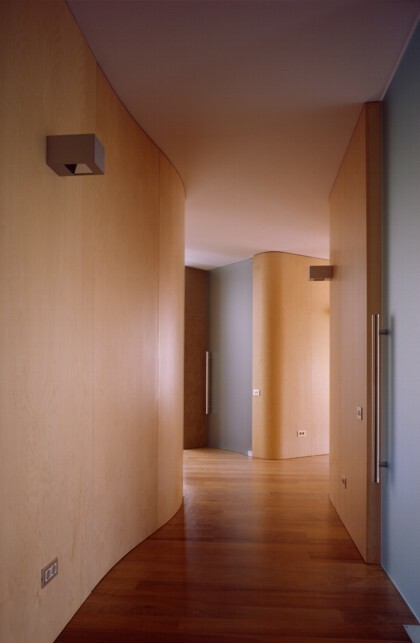 Three materials are chosen: wood, stone and plaster. 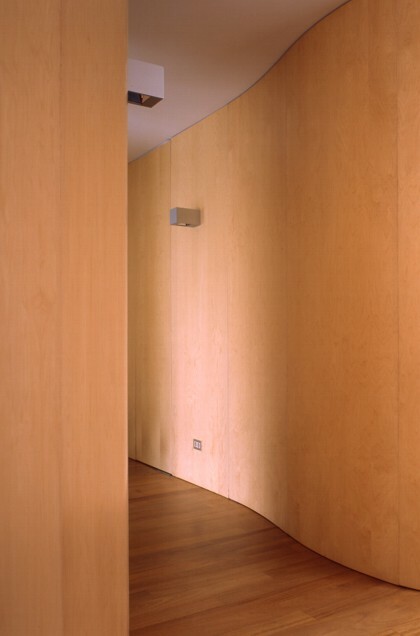 Wood for the floor: floating teak flooring, and to cover the partition walls: birch-veneered MDF panelling. Polished Ulldecona stone for the "wet" areas: kitchen and bathrooms. Finishing plaster to cover the existing walls: party wall, façade wall and ceilings.